Comparing 23andMe V4 kit raw file to FT-DNA raw file. Both tests were taken by myself this year (2016). 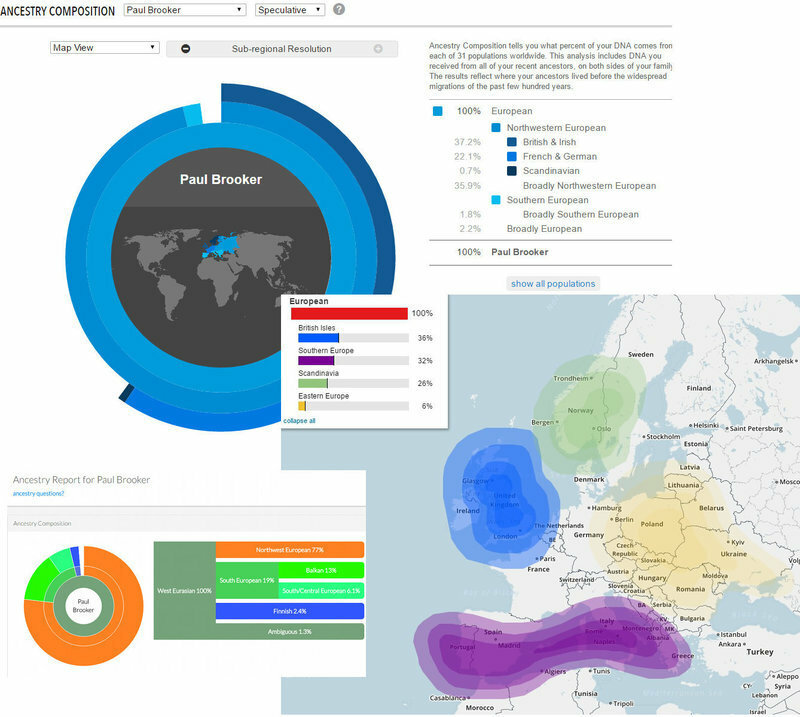 I am here comparing the quality of two separate atDNA tests from the same person, by two different DNA for Ancestry companies. As will be seen, the quality varies considerably, at least in terms of the number of SNPs that are tokenized once forwarded to GEDmatch.com. This is NOT a test of how well both companies ascertain our DNA ancestry from these files. Both use their own reference populations and analysis programs. I've reviewed that elsewhere. This test simply weighs how many SNPs are registered from the autosomes and X chromosome of one person. No-calls = 4911 = 0.93956084952678 percent. Kit M551698 has approximately 19959 total matches with other kits. Of these matches there are 4982 >= 7cM and 14977 < 7cM. No-calls = 16077 = 2.263088030563 percent. Kit T444495 has approximately 48755 total matches with other kits. Of these matches there are 9351 >= 7cM and 39404 < 7cM. I thought that it might be interesting to compare how these files, of the same person, might compare on the same GEDmatch heritage admixture program. Based on the numbers of SNPs tokenized, I will in future regard the FT-DNA (Family Tree DNA) file as superior in quality, over the 23andMe file, despite my disappointment in the FT-DNA My Origins ancestry analysis.